Don Whelan was educated in Southland, Dunedin, and at Canterbury University. His wife Beris, and three sons Chris, Paul and Richard, have shared his love of choral singing, and Paul is now an internationally recognised opera singer. 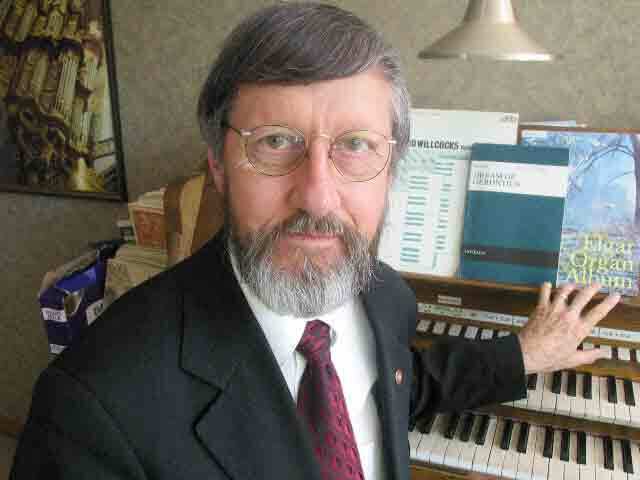 Following his appointment as Organist and Musical Director of the Cathedral of the Blessed Sacrament in 1969, he re-established a choir and orchestra, and developed a strong musical tradition which has led to five Australian, one American, one Asian and seven European world tours. In 2000, the group was invited to lead the congregation in St Peter's Rome, for the Papal Christmas Midnight Mass, which inaugurated the Holy Year of Jubilee. He has performed many organ recitals in past years, and now presents in addition to the regular Sunday liturgical programme a series of concerts each year exploring a wide range of choral literature. This has included the major Masses by Haydn, Beethoven, Dvorak, and Puccini, together with the Requiems of Fauré and Mozart. For approximately 35 years, annual performances have been given of the Bach St John Passion on Good Friday, and Handel's Messiah. A number of new works for choir and orchestra have been commisioned, such as John Ritchie's Missa Corpus Christi and 10 Masses and a Magnificat by former cathedral organ scholar Chris Archer. Don retired in 2012 as Head of Music at Christchurch Boys' High School, following service at St Bede's College and Burnside High School. He takes a prominent role in Christchurch music, and has initiated and organised many choral and orchestral music festivals. He led the campaign to establish the Music Centre of Christchurch, and was the first recipient of an MNZM in 1996.